Okay. Will try~ thank you. For some reason, now it works. I changed: absolutely nothing. I won't try to link my PSX with X-Plane 11, i do several recherches, but i can't find X-View, all links seem to be brocken. Can you please give me a active link to download X-View ? There is an oddity though - the 747 in X-Plane has the turn center located behind the aircraft model, which makes taxiing on the ground interesting. Very minor detail. agree on the majority's opinion about the xview plugin - fantastic tool! But the turn center is somewhat bothering. Anybody have a solution/workaround for this? is it still suitable for XP10? And is there a manual or a guide? I don't mean to sidetrack this thread but do people use anything other than XView to use XPlane as a scenery generator? I thought I had seen ref to PSNet being used but their website doesn't show any such interface? I do hope Xview is updated or something else better comes along. The version I have works with both. I used the latest version before I purchased XP11. I now use P3D as I prefer the ORBX scenery for Australia (where I live). I have the same issue too. The turn center on the ground is behind the aircraft and makes the turning hard to be precise. Hope there'll be an solution to this. I found a "win0_lights.xpl" in your xview folder in your dropbox. Do you recall what to do with this file? I did not find any hint in the XView User Guide v1.2.pdf which I downloaded 3 years ago from somewhere. I included it as it was on the web site before it disappeared so I grabbed everything. I am investigating which X-plane version works reasonably well on my Notebook. Therefore I currently test both demo versions 10.51r2 and 11.26r2. In 10.51 lights and animations are really eye candy, but I ignored the win0_lights.xpl so far. Do you recall what should be done with this file? Primarily I need a scenery during taxi, long term I would like to fly again a bit in VATSIM or IVAO, which I did last w. PS1.3. I use a single Notebook (i7 @ 2.8 GHz, 16GB RAM, AMD FirePro M5100 @ 1.1 GHz w. 2 GB RAM integrated graphic card). And normally I run 2 instances of PSX (server+client). So far both X-plane versions run OK with PSX-Boost running. X-plane 11.26 w. default settings: I saw temporary PSX FPS drops down to 40 and I got X-plane warnings that graphics settings need to be adapted. X-plane 10.51 w. default settings: Quite smooth. But I did not yet compare the X-plane FPS in detail with both comfigurations. 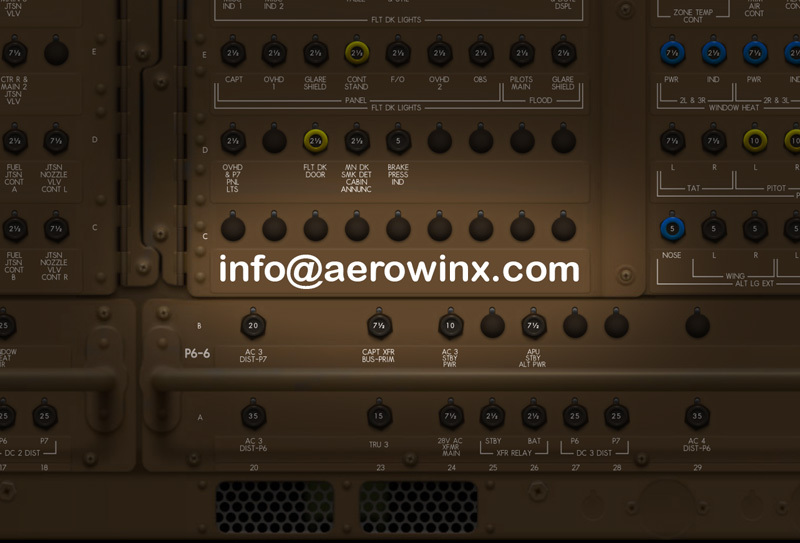 To use the modded file simply rename it win.xpl and replace the one in the X-Plane Folder/resources/plugins/Xview/64 folder. I downloaded the 1.2 version of the manual but forgot to update the dropbox file.... DUH! Dropbox file updated to include manual..
Is it really so that the extrapolation feature does not work with XP11? This feature was important as it added the last bit of smoothness to make everything butter smooth. I've been away from the sim quite some time, it seems the development of this plugin has stopped? I thought this was just my band taxiing, glad to know its not me! Hope this gets fixed. There is some good news on the problem of supplying groundspeed and other data to X-Plane to assist with interfacing to virtual airlines. I have filed bug reports to LR about this over several years and never had a reply. But today I posted a comment on Ben's blog and got a favourable response. (http://developer.x-plane.com/author/bsupnik/). Was any progress made on this issue?